3. Dip eggplants in egg and then coat with bread crumbs. Line them on a baking sheet, in a single layer. 5. 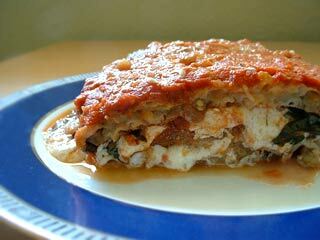 In a 9″x13″ dish, pour half of the sphaghetti sauce, half of the eggplants and half of each cheese. Then repeat. You should end up with two layers of each ingredient. Sprinkle basil on top. 6. Bake for 30 minutes or until the cheese has become golden. *I did a lot of eyeball measuring, so use as much cheese and sauce that you personally would enjoy! My fingers are crossed that you like it! I didn’t think about writing this post until this morning, so I only have a picture of what I brought with me for lunch. Hey now! I’m not a food blogger, I’m just sharing the wealth. Look at this gourmet one! Save this recipe for the weekend y’all! *This recipe is derived from any other yummy recipe that may be found on the net. 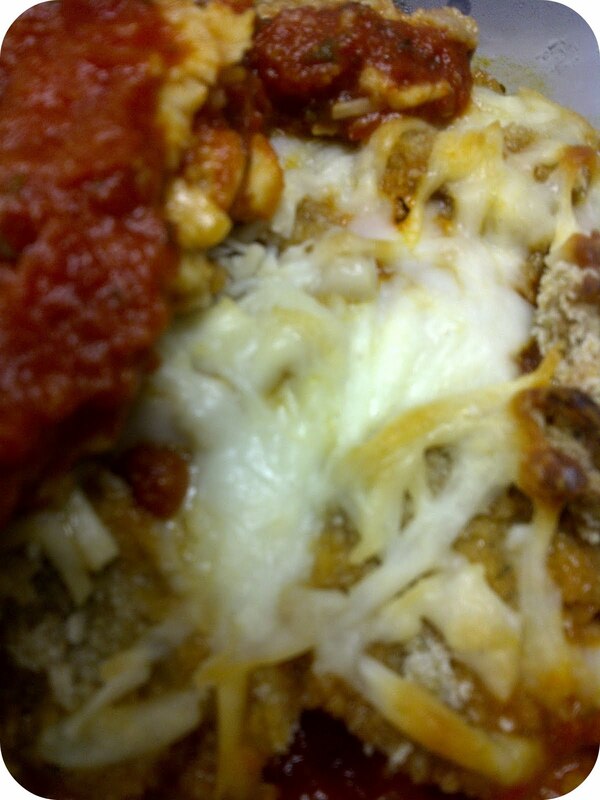 I’m not claiming to be 100% original because… heck it’s eggplant parmesan peeps. Do y’all have any easy “go to” recipes? Oooh, sounds delish! I'll have to put it on my list to try. That looks and sounds so delicious! I have never eaten eggplant before and my husband steers clear of things that are blatantly healthy but I think this would be a good meal for us to try! Definitely adding the ingredients to our grocery list. 🙂 thanks! I made eggplant parm last night, too! It was my first time making it, and it turned out pretty well.